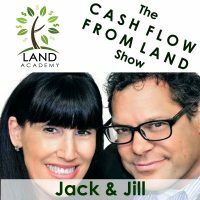 Steven Butala: Today, Jill and I talk about hiring, training, and trusting your land company virtual assistant. Steven Butala: I will cut to the chase for you. 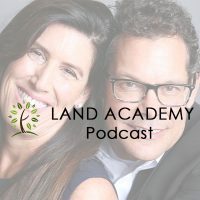 The short answer is, like everything in Land Academy, we’ve already done it for you. Steven Butala: I’ll show you and tell you all about how and where to find that. Steven Butala: Before we get into it, let’s take a question posted by one of our members on the landinvestors.com online community. It’s free. Jill DeWit: This is awesome. One of our members, Joe, already wrote in and responded. He said, “I’ve a relative who’s thinking about selling some property.” That’s what he said. You could also do that. And Marcus said, “Thanks. This is a bigger lot in the neighborhood. Taxes are paid. Full road frontage with utilities, houses on two sides and public housing on the other. 5K for almost two acres.” This is great. Jill DeWit: You want to talk about this first? Steven Butala: Well, Jill’s … I mean … Thank you for the response and these strings go on, and on, and on. We just posted it today while we were recording this. Steven Butala: … new people think they’re gonna call a real estate agent and say, “Look, I’ve got this property. It’s in this subdivision. I just want to know what it’s worth.” A lot of people think the real estate agent’s gonna say, “Well, give me the address, and give me the assessor’s parcel number, tell me who the seller is, tell me how much you’re paying for it, and I’ll tell you how much it’s worth.” And it’s never like that. Jill DeWit: You don’t have to do that. Steven Butala: The fact is real estate agents, vast majority are not incredibly … They don’t know the definition of an APN, and that’s literal. I’ve talked about this with my sister who’s an incredibly intelligent real estate agent, and successful. She hates the assessor. She hates the numbers part of this business. She’s not an investor. Fortunately for her, her husband is. So a lot of the money … She turns fee money into investment money, mostly because of him. Steven Butala: So real estate agents, they’re not going to pound you the way that you might think. Steven Butala: So keep the APN to yourself and you’ll be all set. Jill DeWit: And the thing is too, so this is obviously subdivisions, got houses on two sides, it’s got utilities, I think he said it’s paved. So this is not hard to back into. This is how I look at it, too. I look at what the home prices are selling for in that area. We all have Steven’s chart on the equity planner that I can back into it [inaudible 00:03:12] an infill lot. Then I can also go and look at some comps in the area, and then make sure I’m right. None of this is crazy. Steven Butala: The other thing to do is go under realtor.com … ‘Scuse me … and type in the subdivision and find your property. And then look at all the listings around it. House listings, land listings, anything you can find. It’ll value itself. Steven Butala: Five thousand bucks in general, for a large property that’s got houses all over it, unless it’s in some crazy place like where houses are very, very, very, cheap. Steven Butala: Here’s a few hot markets that houses are incredibly cheap, it shocks me. All the center states like Southwestern Illinois, Arkansas, some parts of Texas, Iowa, that are non-agricultural and non-specific use based, just a house on a lot, I mean that’s a situation where 5K might be too much. Steven Butala: But the vast majority of the properties in the country, that’s a great deal. Jill DeWit: Right. You gotta think about who’s gonna buy this too. So I’m assuming you’re hoping to sell this to a builder. That’s the most logical, easiest, quickest way to do this. It’s hard to find an end user who’s looking for those two acres with houses on each side. I mean, depending on what the area is, but often to builders, it sounds like what you’re priming this to. Jill DeWit: So think about who they are, what they’re buying, and what they’re doing, and how much they pay, and how much it costs. You’re saying how much it costs to put a house on there and what the value’s gonna be. Steven Butala: Use the 20% rule, too. Jill DeWit: Right. For the dirt. Steven Butala: … quite a lot. So in this case, it would be … It gets tricky because 10% is $50,000, so 20% is $25,000. Steven Butala: But nobody sells a house, a new house, for $25,000 ’cause it costs more than a hundred dollars a foot to buy, to build it. Steven Butala: So we get into this in Land Academy 2.0. And for lots, in an extreme amount of detail … It’s tricky when lots are so cheap. That’s ironic. Steven Butala: But that’s the case. 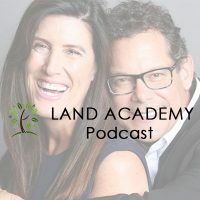 Steven Butala: Today’s topic: hiring, training, and trusting your land company virtual assistant. This is the meat of the show. Steven Butala: Jill, do you have notes? Jill DeWit: Well, this topic comes up now and then because of our members, and their growth, and they’re asking us, “Okay, I clearly need help. You guys have clearly figured out a way to start utilizing inexpensive aid for completing deals. A lot of it results in using a virtual assistant, and often overseas. Oh my goodness, how do I find ’em? How do I train them? And then heaven forbid, trust them with my back access to my website and some of my data? They’re setting up, collecting money, payments for me.” Whatever it is. Jill DeWit: So that’s where this came from. And I have to say Steven, ’cause I’m gonna defer to you on a lot of this because originally, I was that person. I’ll tell you. When Steven first came to me and said, “Here’s what we’re doing. I’m gonna get a VA over here, and they’re gonna do this, this, this, and this. I’m giving them this access to all these accounts and the website.” I’m like, “What are you talking about? How could you possibly do that?” That just seemed insane to me. They’re in another country and you’re giving ’em all this stuff? I later ate my words, and you were right. Jill DeWit: You did it perfectly, so I’m going to defer to you on the initial … If you would Steven, tell us first … ‘Cause that’s for me, the biggest part. Not the hiring. Not the training. But the finding them and knowing that you can trust them. And their experience. Steven Butala: So those people are a little bit more project based. They’re not tasked based, but they still have a talent. We’ve had a lot of luck with Fiverr. A tremendous amount of luck. And here’s how I use Fiverr. I send out, let’s say it’s a logo, I’ll send it out to 10 or 15 people. I spend five or $10 with each of those people and then choose the one I want. So yeah, great, I spent 50 to $100. Got a logo that should’ve cost five grand. That works. Steven Butala: The project based, “Hey I’m really good at mapping stuff on Google Earth”, that kind of VA, never had any luck. That’s the middle kind of VA. I’ve tried, and tried, and tried to retain those people. And I think most of ’em have other jobs. Steven Butala: The VA that we ended with, is a person that sits next to you virtually and does every single thing you ask ’em to do. Steven Butala: But she found me. So she found me because we launched this landinvestors.com website. She was contacting all of our members saying, “Hey I can do this for you. I can do this for you.” Jill got a little miffed, quite honestly. Steven Butala: And my response was, “No, no. Wait a second. Let’s embrace this, not make it a bad thing. Let’s make it a good thing for ourselves.” Which is strange for you and I because we’re usually in the reversed roles. Steven Butala: Long story short, just use her. Go out onto landinvestors.com and ask these people which VA to use. She’s done a lot of these tasks anyway. I talk to her all the time. Our staff talks to her on a daily basis. We totally trust her. We’ve been using her for two years probably. She has a team of people in the Philippines. Steven Butala: We’re collaborating on, she and I right now on Skype … Which is why I wrote this title. Collaborating to offer a program to anybody who wants it and who’s a member, for a certain dollar amount. We’re almost done with that. We will launch it in conjunction with House Academy. Steven Butala: And it’s not just anything. It’s all project based because we all do the same thing. We just do it in different counties, and different ZIP codes, and the areas that we choose. So she’s very used to doing the things for us that you’re gonna need her to do. Or you need her to do right now. Jill DeWit: So that’s the best way to find one then, is to find one that’s already tested and trusted by somebody else. Jill DeWit: So then how do you train ’em? What’s your best tip for training ’em? Steven Butala: Okay, great. Excellent question. And I’m sure you know the answer. There’s obviously a language barrier. In her case, she types very well, and speaks very well, but there still is a language barrier. Steven Butala: We, for every single project, we take it, do a little video, an in screen video, or a video like you see now here with my face saying, “Do this, do this, do this.” Then I go back into the screen. “Here’s five steps. Fill this spreadsheet out.” Make it as simple as you can in less than eighth grade English. So that everybody completely understand it and you can get it done. Steven Butala: I mean, you’re not going to ask a virtual assistant, this is my opinion … We don’t use a virtual assistant to decide which properties we’re going to buy. Or to pick a county. Jill DeWit: Correct. Or to price a mailer. Steven Butala: We don’t ask them to do anything that’s mission critical or business critical. Steven Butala: We just ask them to do repetitive tasks that would be incredibly difficult to do and pay for in this country. Jill DeWit: Can I give one example? Steven Butala: It does take ’em weeks. Jill DeWit: … and put it in. Right? It would take months, then. Take us months. But they can do it in a week or two. ‘Cause she has a team that that’s all they’re doing, filling in all those lines. ‘Cause it’s how many lines? Maybe it’s 400,000 lines of data. Let’s just say. Jill DeWit: If it’s something like that, that’s what you have them do. And you show them specifically, “I want you to go to this site, pull in this information, and put it here.” That way, now you have your stuff, you can go back and make an educated decision. That’s the kind of stuff you use ’em for. Steven Butala: There’s a lot of examples like that. But in general, it’s repetitive, consistent tasks. Steven Butala: And then this person in the Philippines has IT people, so they do backend maintenance on some of the websites. They do a daily report. So they fill out and tell us what they did every day. Steven Butala: Because you don’t want it to get out of control. But here’s the numbers. Steven Butala: … by hiring somebody in this country, bringing him into your office, wherever that is. Most people won’t come to your house if you have a home office. There’s a lot of barriers for a lot of reasons that … Some stuff’s appropriate for VAs and some stuff’s appropriate for employees. Steven Butala: My belief has always been, my vision’s always been, there’s you at the top. In our case, Jill and I are at the top. We have some department heads, we call ’em managers or senior managers, depending on where they are. And then all the VAs report to them. Steven Butala: Unless it’s special projects like I’m working on right now. And that’s how I would recommend organizing that. Steven Butala: Trust is key here. Like Jill said. Jill DeWit: Right. One of the things I love about it too, by the way, is you can turn ’em on and turn it off. What if you have a big thing that you need some help with right now, that this would take you two months to do, and they could do it in two days or two weeks? Great. And you can shut it down and get back to when you need ’em for the next time. Maybe it’s just picking a county. You need all this data to collect. Or pricing something, you need to look at these comps. Whatever it is. And that, I think, is awesome. Jill DeWit: You can’t do that with somebody part time. You can’t say, “Hi I need you this week. You know what? I don’t need you next week. I’ll call you in April or I’ll call you in May. I might need you then. I think I’m closing … I don’t know. I’ll get back to you.” They’d be like, they’re gone. And all the money, and the time, and effort you went to train them would be like … It’s too expensive. Yeah. Steven Butala: I mean, here’s a good example. With the release of House Academy, I will release the results of this project. I took every single county in the country. Jill DeWit: This is cool. Steven Butala: Actually, every single ZIP code. And I asked them, and I showed them through little videos, to let us know how many houses are in that market, how many vacant pieces of land are in that market, and a lot of other statistics. 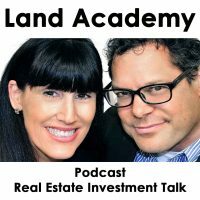 Steven Butala: It’s a tool that makes the decision making process for you to decide where to send mail out to buy houses, much, much, much easier. Steven Butala: It’s like cheating. And I mean, I spent … It’s been a combination of over a year. Countless dollars per hour to get it done. It’s really cool. Steven Butala: It’s worth the price of the program, easily. Steven Butala: We’ll you’ve done it again, you’ve spent another 15 minutes or so listening to the Land Academy Show. Join us next time for Finance Friday, with me Steven, Jill DeWit, and Justin Sleva. Jill DeWit: Thank you. Now I answer your questions posted on our online community, landinvestors.com. Check it out. It’s free. Jill DeWit: How are we gonna release that? Speaking of which, I’m like … ‘Cause that’s a lot of data. Steven Butala: We’re gonna release it on a … I don’t really know. Jill DeWit: I mean, is it gonna be by state? I know you and I have talked about all kind of different ways that we can share this information. We can share it with certain people if they want to just focus on that. What are your latest thoughts here? Steven Butala: If I have my way, from a tech standpoint, and that doesn’t always happen, we will release a … I set up, when I wrote county-wise, I set it up for levels, subscription levels. Steven Butala: So if you’re a House Academy member, you’ll have access to that. Jill DeWit: Got it. So different levels will get different states and different things? Steven Butala: Right now, it’s all free. Jill DeWit: Love it. Oh, county-wise is. Jill DeWit: But you’re thinking of a thing for the House, for Houses? Steven Butala: County-wise we’ll have login level and free level. That’s all set up like that right now. Jill DeWit: Oh, you’re gonna change county-wise? Jill DeWit: That’s your … I see. Steven Butala: Yeah, so if you want to research Oklahoma to see if you should buy houses there or not, you login county-wise, and it gives you incredible amount of statistics. Jill DeWit: And then on the back end, you’ll have all this House Academy data. Steven Butala: That’s exactly right. Steven Butala: Right now it’s just, it’s free. And people … I look at the numbers and people use it all the time. Jill DeWit: I learned something today. Steven Butala: Usually it’s the other way around. Jill DeWit: This is great. Steven Butala: But like I said, from an IT perspective, we don’t know … That may or may not fit in with the timeframe of the launch. We’ll figure it out. Steven Butala: Grab it. It’ll get messed up, too. That’s what the real tragedy is. Steven Butala: You’re working off of bad data. That’s bad. Jill DeWit: That’s true. Wherever you’re watching or wherever you’re listening, hey please subscribe and rate us there. Jill DeWit: We’re Steve and Jill. Steven Butala: We’re Steve and Jill. Information.